It’s time for the Scholastic December Book Fair, and again, there is a great selection of books from which to choose, including: preschool, early readers, middle school books, teen reads, adult literature, historical, science, reference, cookbooks and inspirational. Parents, family and friends are welcome to stop in anytime during event hours; please remember to sign in at the office first. Payments can be made by cash, check (made payable to “Butler Catholic School”) or credit card. Please note that sales tax will be charged so please plan accordingly if sending a check or cash in with your child. This year there is also a new digital payment option to help students shop at the fair. Parents can create an eWallet through Scholastic. To enable this digital feature for your child’s payment option, go to the BCS Book Fair Homepage. 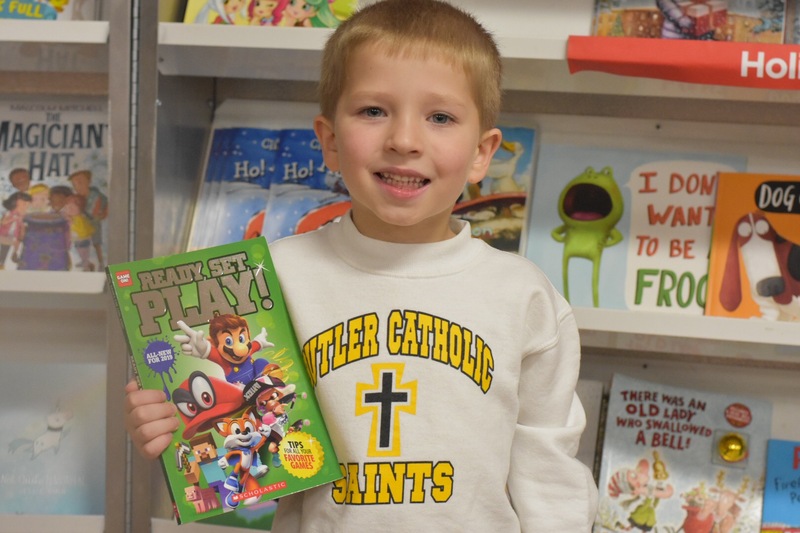 The Scholastic Book Fair is a fundraiser for the school, as BCS keeps approximately 65% of Book Fair sales in book profit. This means that basically 65% of sales stay at Butler Catholic. We are able to purchase a variety of classroom resources and put 100’s of books in our library and classrooms. This is a wonderful program that benefits our school in many ways, so please stop by and visit the book fair. In addition to our live fair, we have an online fair. The online fair will run from 11/25 – 12/11. The homepage address is: http://www.scholastic.com/bf/butlercathschstpaul2. There is also an app that can be downloaded to use for previewing or ordering online: www.scholastic.com/apps/bookfairs. Please note that this close to the holidays that any online orders are not guaranteed by Christmas. If you have any questions, please feel free to contact Brenda Grenci at (724) 991-1771. As always, we thank you for your generous support of this program.